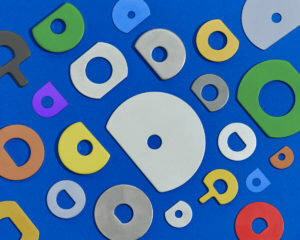 D Washers | Boker's, Inc.
Boker's is a leading stamping manufacturer of D-washers. Many applications require D-washers and they are used in many industries such as automotive, marine, aerospace, medical and countless more. D-washers, also referred to as clipped washers, are generally used in applications where space limitations do not allow the use of a flat round washer and/or when keeping an assembly stationary is required. Return to Custom Flat Washers.